On Wednesday 21st and Thursday 22nd October the 82nd National Fruit Show will take place at The Kent County Showground at Detling, near Maidstone in Kent. 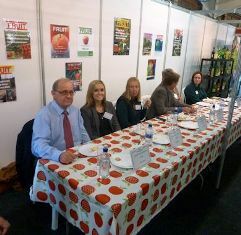 With 152 entries in the top fruit classes, competition for the prestigious awards of Best in Show and Tastiest Apple will be hotly contested. 'Best' & 'Tastiest' will get the Royal Seal of Approval! The National Fruit Show is delighted to announce that the Winning entry and the fruit judged as 'The Tastiest Apple' will be sent to Buckingham Palace for Her Majesty the Queen. This will be a huge accolade for the winning grower or growers and a brilliant opportunity to promote the wonderful fruit we grow in the UK. 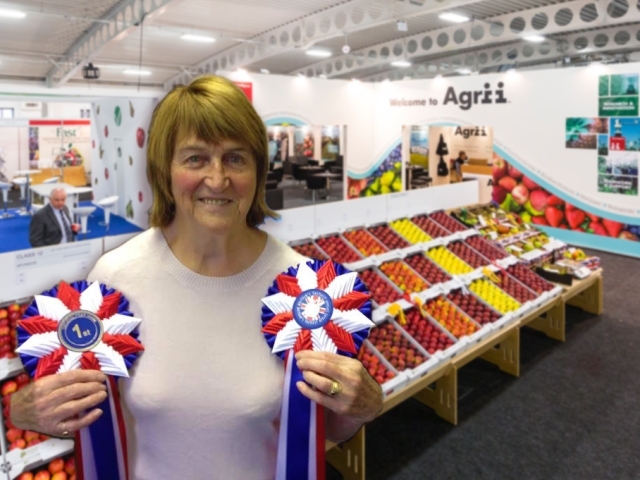 Below: Assistant Show Secretary - Norma Tompsett shows off the specially designed, handmade rosettes which will accompany the Best in Show/Tastiest apple to HM the Queen. During the National Fruit Show FAST will present a selection of the 104 varieties currently being grown in their trials at Brogdale Farm. 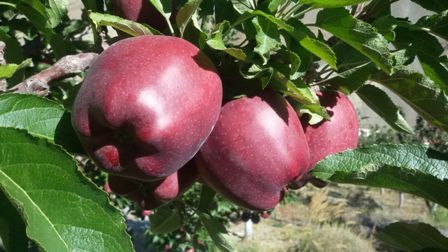 They will also introduce, a new selection of Gala which ripens 8 days earlier than the well-known Royal Beaut. My regular readers may remember my meeting with The Himalayan Apple Man; his son Vikram contacted me after becoming a follower of 'The English Apple Man' website. Vikram lives in England with his wife and family and while working (in a non apple related industry) takes every opportunity to research apple growing in any country he happens to visit. His Dad, Lakshman came to England in 2013 and they spent a day with me as we visited Brogdale and toured the National Fruit Collection, before joining Sheenagh Levett of FAST for a look at the trials site. But what inspired their visit to the more remote areas of Himachel Pradesh, to 'regions' at the extreme limits of apple production? - "the knowledge that the superior quality of apples from this region commands prices at 30 to 50% premium in India.! In the lap of the great Himalayan Ranges lies this mesmerising state of Himachal Pradesh. Possessing an enviable diversity of natural beauty, Himachal Pradesh cradles snow capped mountains, snow fed rivers, dense deodar forests, cultivated terraces and apple orchards within itself. Fondly called as "Devbhumi" or land of the Gods, this land welcomes visitors to enjoy the natural splendour of Rajgarh Valley, Chail, Great Himalayan National Park and Pin Valley National Park. Shimla or Simla; which is called the Queen of hill stations in India and the town which is now the Capital of State of HImachal Pradesh has the greatest British connection. It was built by the British from scratch to escape the heat of Indian plains and later became the summer capital of British India. It is full of British architectural marvels and the superhit Channel 4 drama Indian Summers was based in Shimla. For a peek into the past, there are historical sites like Sujanpur Tihra and Kangra Fort. Bird watchers would love the Maharana Pratap Sagar Lake Sanctuary, which attracts multitudes of migratory ducks from the Siberian region during winter months. Himachal Pradesh has pleasant summers and cold winters with snowfall in some places. Many favoured destinations for those who wish to get away from the heat of the plains are the hill stations of Simla, Dalhousie, Kasauli, Manali and Chail. The bottom line (extreme orcharding) is that most places on this route depend mostly on Apples. 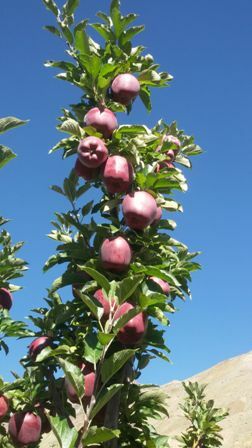 Apples are growing from 1,500 metres above sea level to 3,500 metres (11,375 feet). 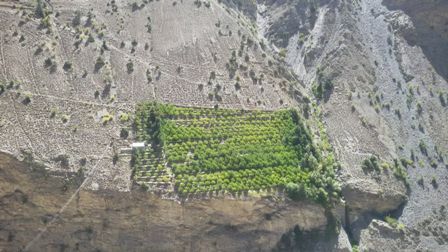 The Himachal Government has a research and extension orchard at Tabo at 3,400 metres, which is doing very well in the dry zone, albeit with the support of irrigation. 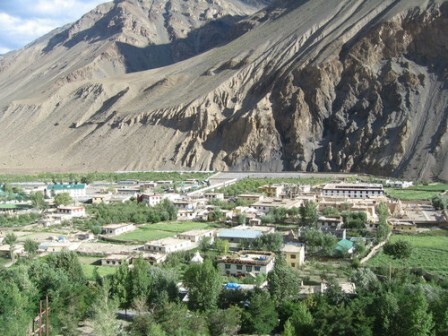 Tabo is a small town in the Lahaul and Spiti district on the banks of the Spiti River in Himachal Pradesh, India. 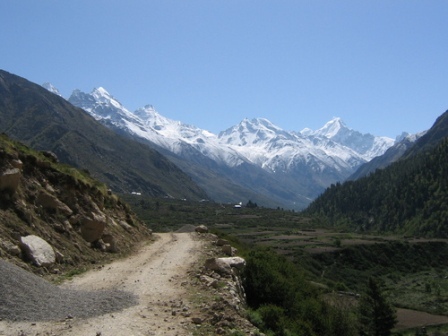 The highest place growing apples was Rangrik at - 3,660 metres (11,895 feet) above sea level. Total productions - based on UN FAO of Apples in India is about 2.2 to 2.5 million tonnes (for context same data puts UK production at 0.2 million tonnes) so roughly ten times more production but much more area under cultivation as Indian productivity is low. It varies dramatically and 30 to 50% depending upon weather conditions. As the tons/hectare is very low (country average is no more than 7 to 10 tons per hectare), the upside is massive. Himachal's share of production here is no more than 35%. Kashmir has equal area but better production per unit area. However, Himachal has lion's share of the revenue as the apples are much better e.g. 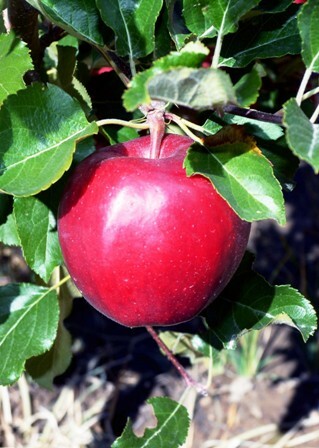 Red Delicious that the consumers like, sell at much higher prices. 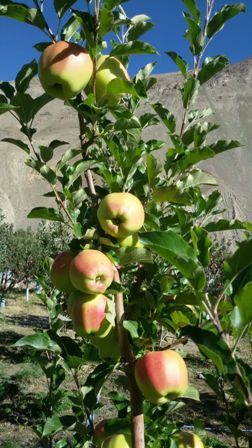 In 2015 (with harvest 90% complete), Himachal is expected to produce about 1.0 to 1.2 million tonnes of Apples, it is a good harvest. 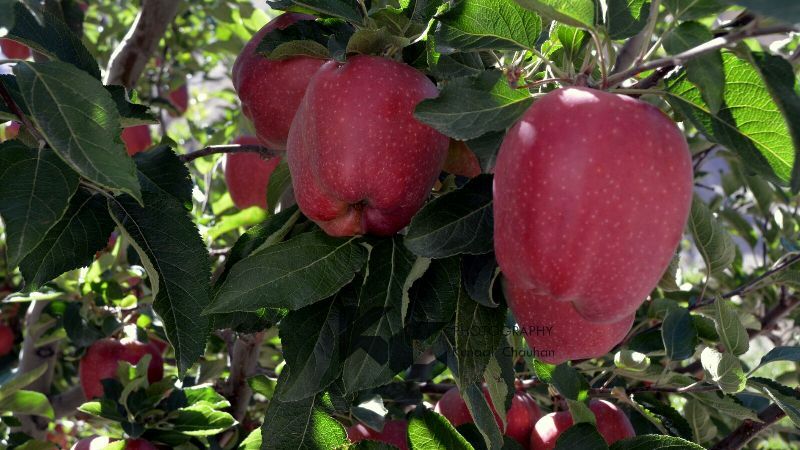 Approximately 200,000 farmers are estimated to be dependent on Apples in Himachal Pradesh. It is mainly in three hilly districts of Himachal covering - 115,000 hectares; Italy by example grows (2012 data) circa 52,251 hectares of apples. 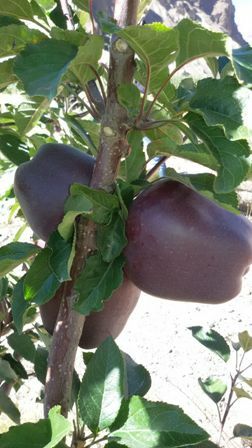 The PGA members went on a trip from lower elevation Apple producing areas to higher altitude areas to compare and exchange practices and found excellent quality fruits growing without much chemical intervention. 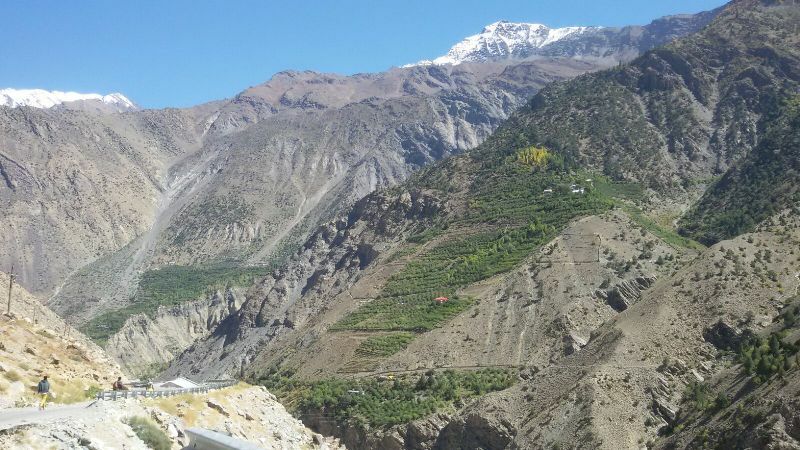 PGA members drove 800 miles across world's highest motorable roads to reach these magical valleys that looked like apple orchards painted on barren mountain deserts. From Shimla (2,200 metres, Capital of Himachal) to Rampur (1,500 metres), Lower Kinnaur district (2,500 metres) Lower Kinnaur to Upper Kinnaur through Nako (3,660 metres), Chango (3,000 metres) and later Tabo (3,400 metres) Tabo to Kaza (In Spiti Valley) and across to Lahaul Valley via Kunzum Pass (4,570 metres - 14,853 feet) - passing through 1,200 year old Buddhist monasteries, untouched by time. On the way went through Kibber, famed for being the highest village at 4,270 metres - 13,877 feet; across Rohtang pass (3,978 metres), into Manali Valley. From Manali to Kullu Valley and cross over Jalori Pass (3,800 metres) to Anni Valley, then back to Narkanda area (2,708 metres) and to base at Rohru (1,550 metres) via apple valleys of Baghi and Tikkar. 1. The only fertilizer they use is farmyard manure and similar. 2. No rain zero humidity no fungicide. 3. High altitude 9000 feet to 10500 cold nights very cold winter.. Practically zero pests and no insecticide. 6. 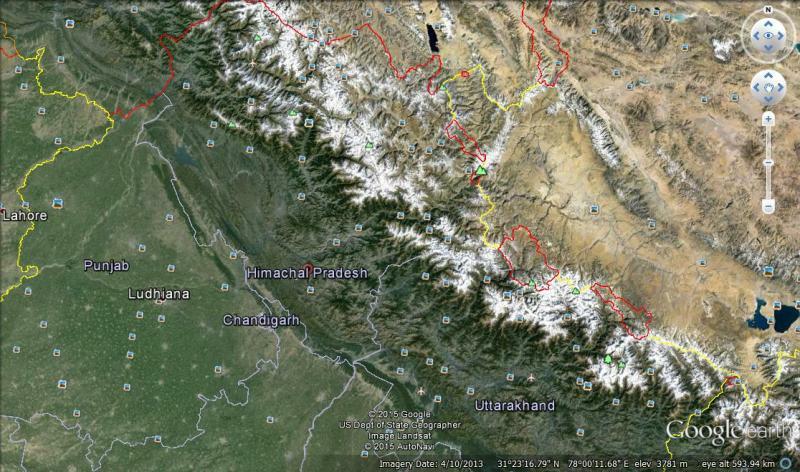 These areas of Himachal Pradesh remain cut off from the world for 5 months as passes (and roads) close due to snow. The little village Tabo up there is 10,760 feet above sea level.... most of the apple pictures are from this place. I thank the young boys for their account of the seven day exploratory trip to learn about these practices. Thanks and admiration must go to "PGA - India" - PGA = Progressive Growers Association. They have formed a 100+ group of young farmers (mostly under 35) who have left other careers to pursue the life of an Apple grower!